Fractional laser technology has become a powerful tool in reversing the effects of aging and sun exposure. With low to no downtime and very well-managed comfort levels, you can choose from a variety of fractional devices to smooth wrinkles and scars, eliminate brown spots and even provide facial lift. Is Fractional Laser as Good as Full Surface Lasers? Although fractional laser can't duplicate full surface laser results, it can provide appreciable improvements with little to no recovery time. In the simplest terms, fractional resurfacing is a system in which microscopic laser beams are introduced into the skin in a specific pattern. 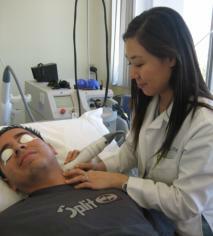 Treated skin area per session is typically about 20%. Why is this important? Whole skin around each tiny treated column accelerates healing and minimizes infection and post treatment pain. Full surface lasers remove the entire top layer of the skin. Not only is this painful, but recovery is much longer and infection risks are quite high. The concept of fractional treatment utlizes the best possibility of lasers while bypassing the worst potential side effects. No one comes to a dermatologist eager to undergo painful treatments. The massive difference in treatment experience between full surface laser and fractional laser has made laser treatment a "can do" for just about anyone. But because the fractional laser is much less invasive, the speed of accomplishing desired outcomes is traded for comfort. 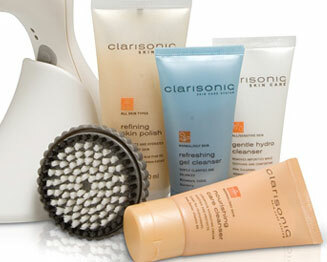 Often the desired treatment effect requires several sessions, with acne scars in the 4 to 6 session range. Typical post-procedure side effects are similar to those you’d feel from a moderate sunburn with some minor “dust-like” exfoliation after a few days. More aggressive treatment means more downtime, but quicker results. Your procedures are always customized to your skin type, severity of your condition, desired outcome and personal downtime tolerance. Dr. Fitzgerald has a variety of highly sophisticated laser and laser-like systems and devices that improve skin texture, color and scarring. To learn about the best-for-you option for skin resurfacing, please call our Los Angeles office at 323-464-8046 today. What Is a Fractional Laser Used For? Where Is Fractional Skin Resurfacing Laser Used? Skin resurfacing to improve sun damage, small scars, acne scars and hypopigmented scars (scars which have lost color and look white) nearly anywhere on the body can be accomplished with fractional laser. **If you have darker skin tones – For overall facial laser with the least risk of hyperpigmentation for those with genetic predispositon to hyperpigmentation, we recommend Fractora. In our experience we find radio frequency energy is the preferred alternative for skin types which can express excess pigmentation activity following laser-type treatments. A consultation to discuss your concerns and a determination of skin type helps us select the right treatment choice. Treatments with most all fractional laser begins with topical numbing cream. (If you are only having treatment on a small area, numbing cream is usually not required.) Once the cream has taken effect, you will have protective goggles placed over your eyes. The sensation can be compared to what you might feel if you were to flick your fingernails against your skin along with a sensation of heat. The laser handpiece is held against the skin, the microscopic beams penetrate the skin, the handpiece is lifted and moved to the next section of skin and the process is repeated. The procedure is very quick, surprising most people with the absence of expected discomfort. Treatments are performed by our our Laser Team Leader Dr. Ray Jalian and our Laser-Trained Registered Nurse Angela Sarff. 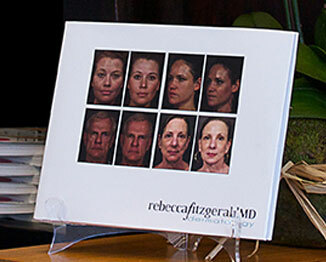 For more information about fractional skin resurfacing, please call 323-464-8046 or complete the form on this page to arrange a consultation. We are pleased to serve patients in and around Beverly Hills, Larchmont, and throughout the Los Angeles area.